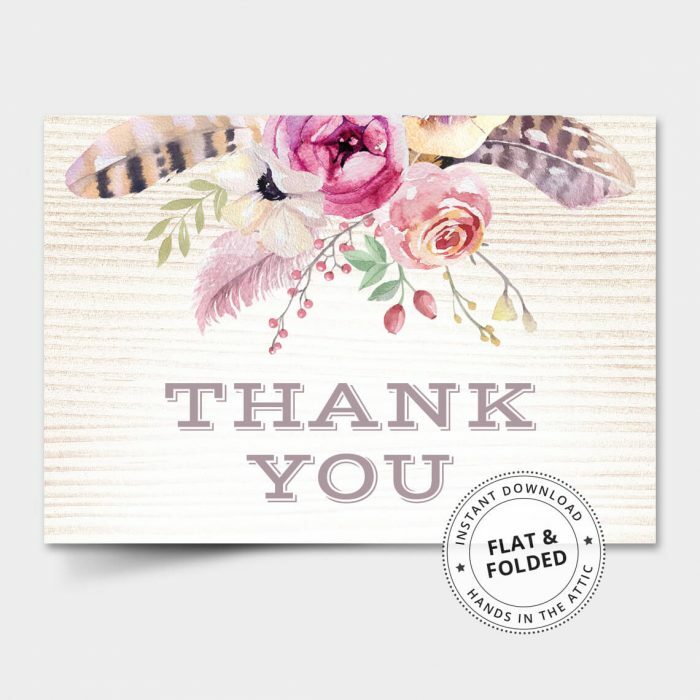 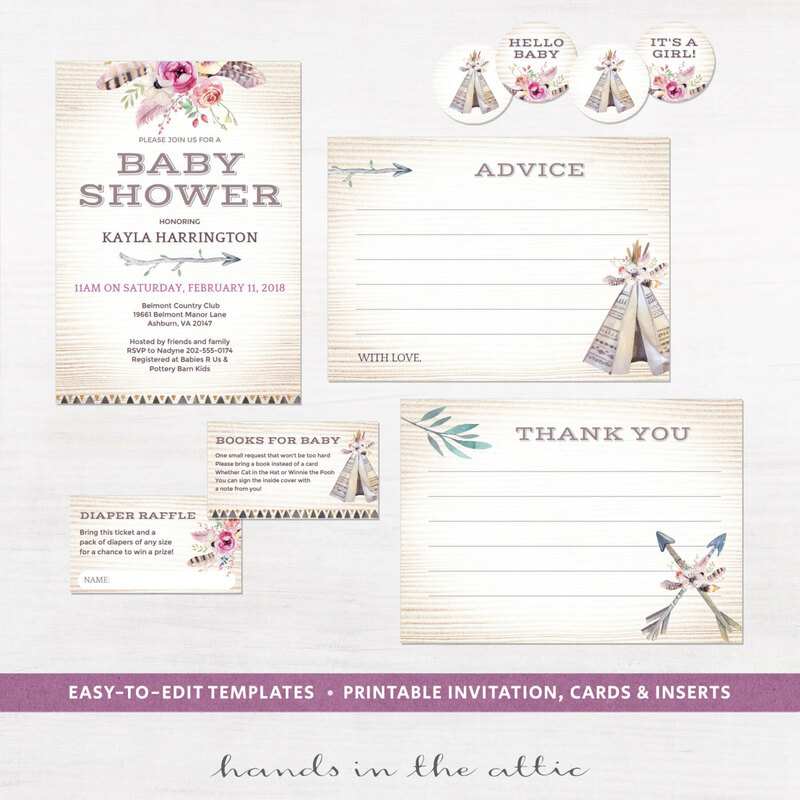 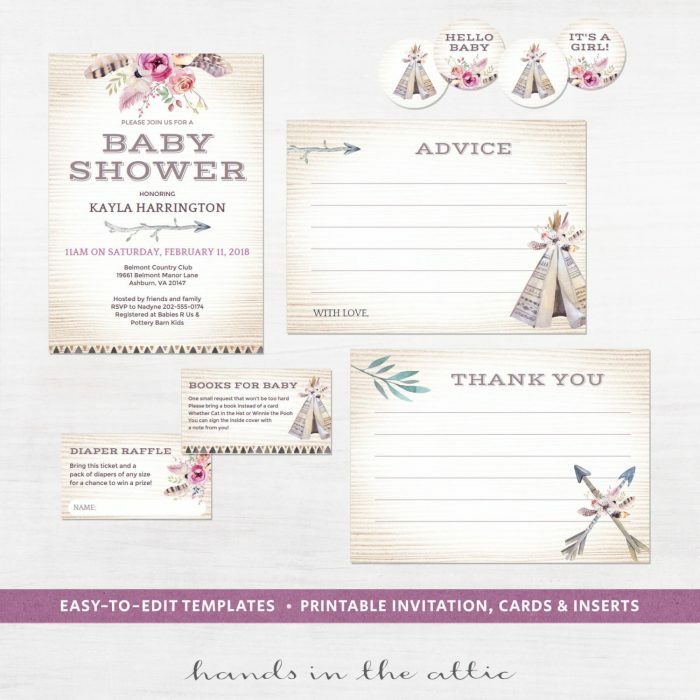 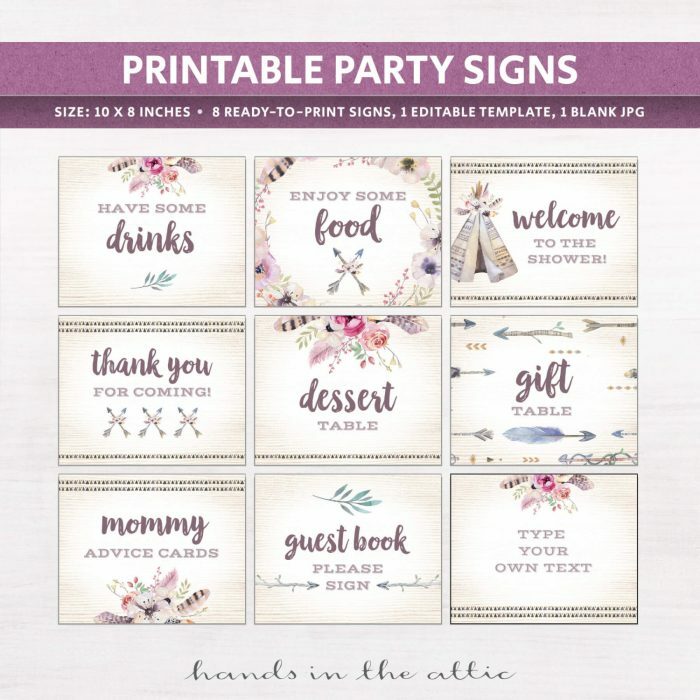 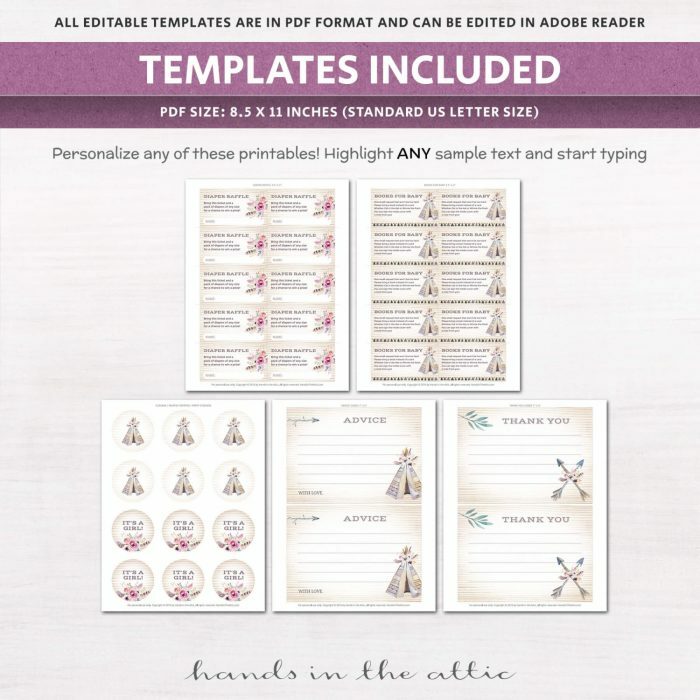 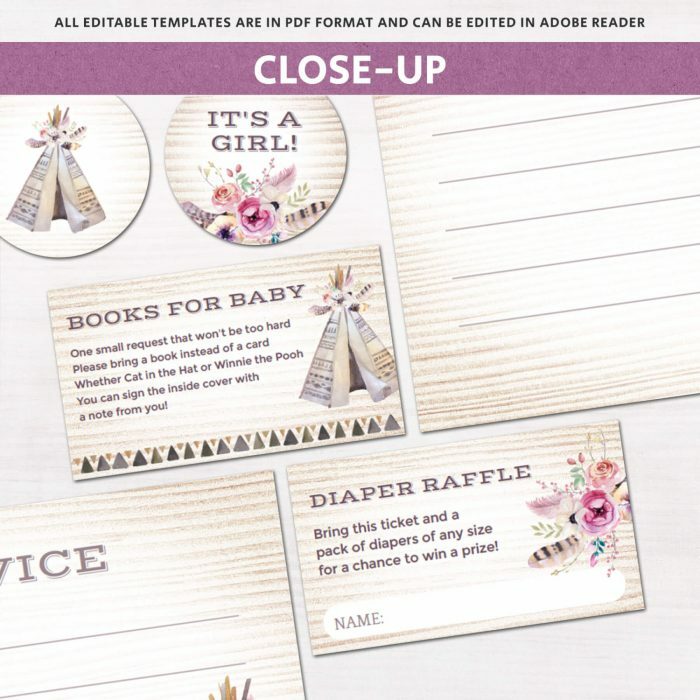 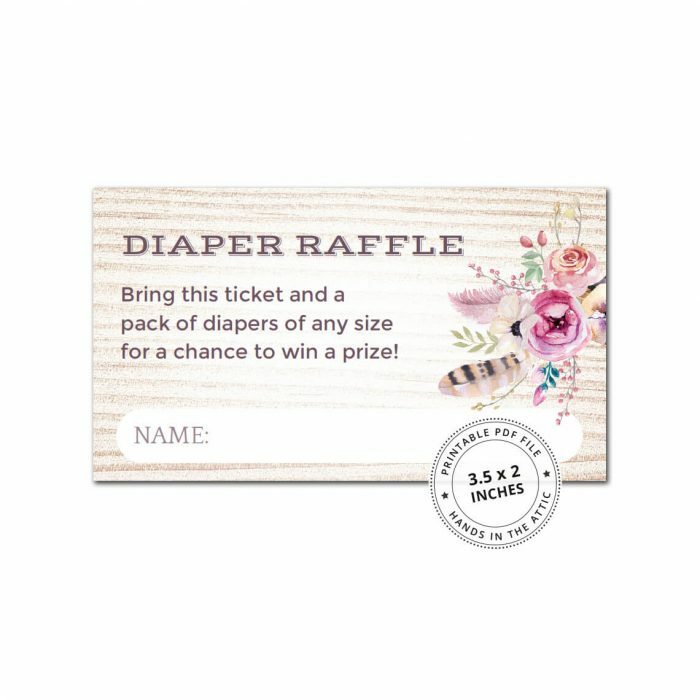 This Boho Baby Shower Invitation Kit comes with templates for invitation, advice & thank you cards, inserts and cupcake stickers. 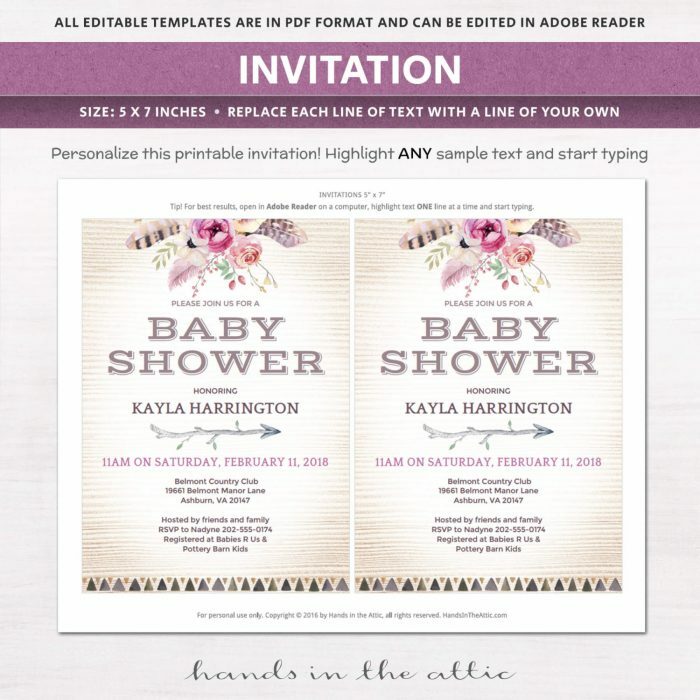 Replace the text in Adobe Reader to customize the text for your party. 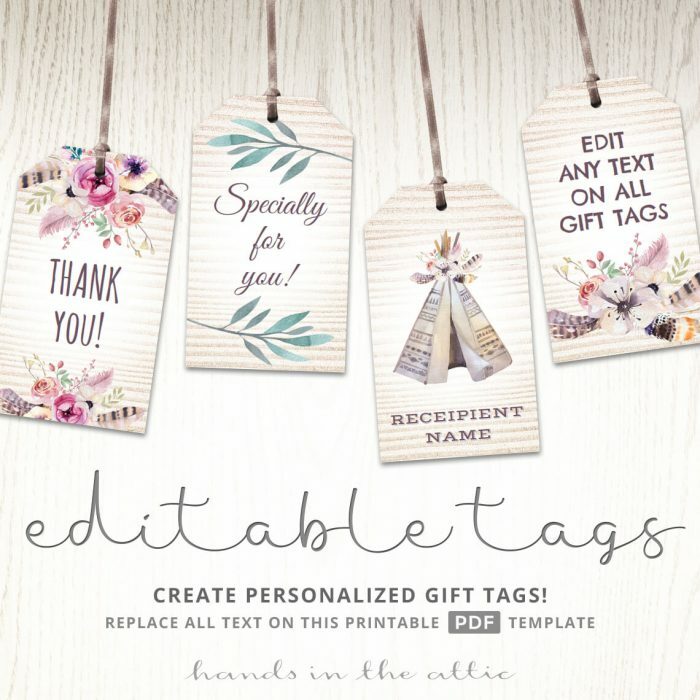 → Text can be modified within the space allocated. 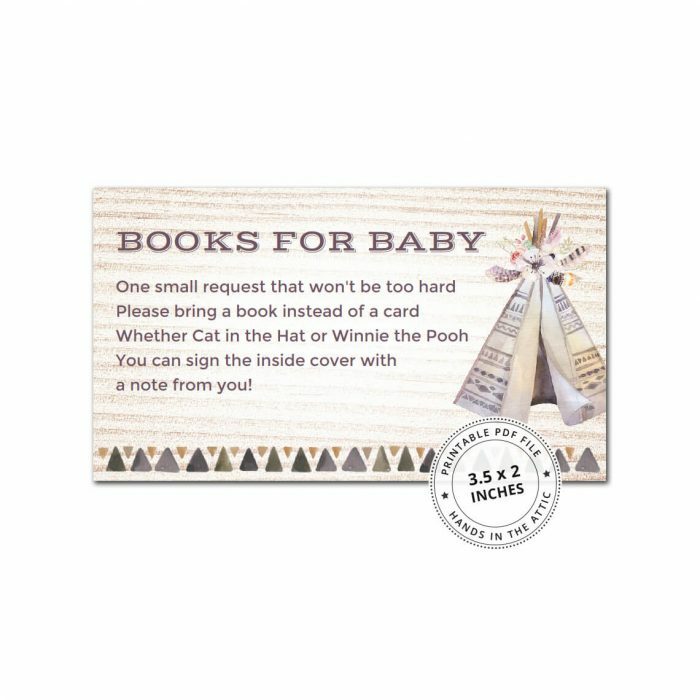 For example, the word ‘Baby’ can be replaced by ‘Couples’, the word ‘honoring’ can be replaced by ‘in honor of parents-to-be’, etc. While you are able to edit the text, you CANNOT insert more lines than shown in the sample. To do so, you will have to use the included blank JPG and format your own text. 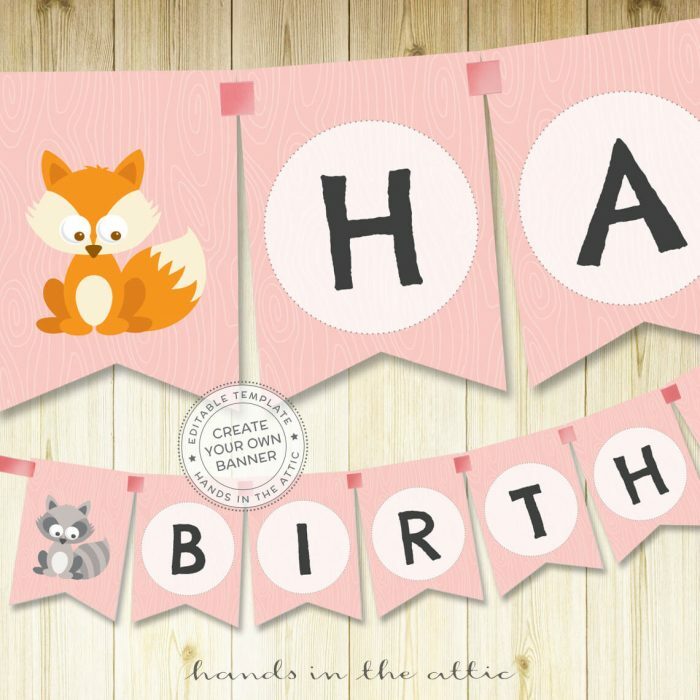 Printables and templates in this Boho Baby Shower Invitation Kit can be easily printed at home!